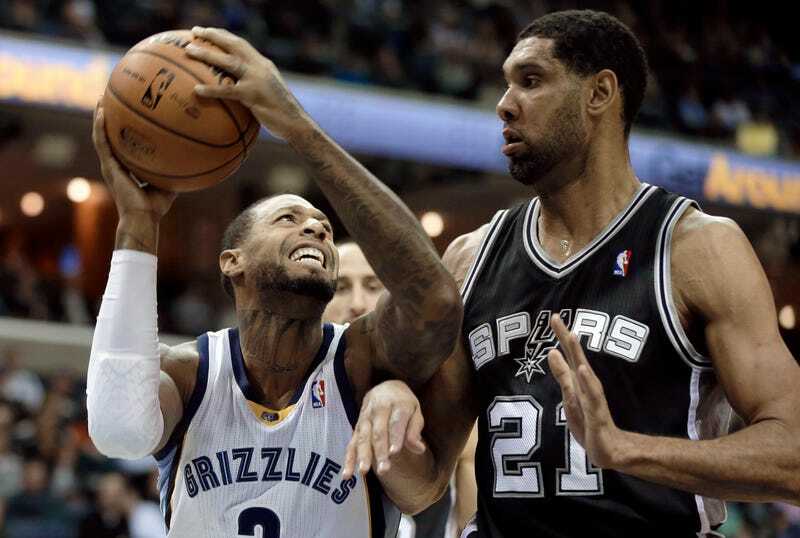 Grizzlies forward James Johnson has a huge neck tattoo dedicated to his prematurely born son, Naymin. He's also been a superb role player appreciated by Memphis fans, so what better way to celebrate Johnson than with a (temporary) neck tattoo giveaway? The team will hand out free "GRIZZLIES" neck tattoos—which are really just stickers intended to go on fans' necks—to the first 5,000 fans for the Feb. 21 game against the Clippers. This is a copout, though. If Grizzlies fans really liked Johnson, they'd get actual ink on their necks. Trust me, having "GRIZZLIES" right under your face for all to see is a flawless decision.